Description: Make a custom 16″X24″ chalkboard sign to help keep track of your busy, multi-tasking life! Supplies include: custom pre-cut chalkboard, paint pens, tracing paper and lots of templates and fonts to choose from! 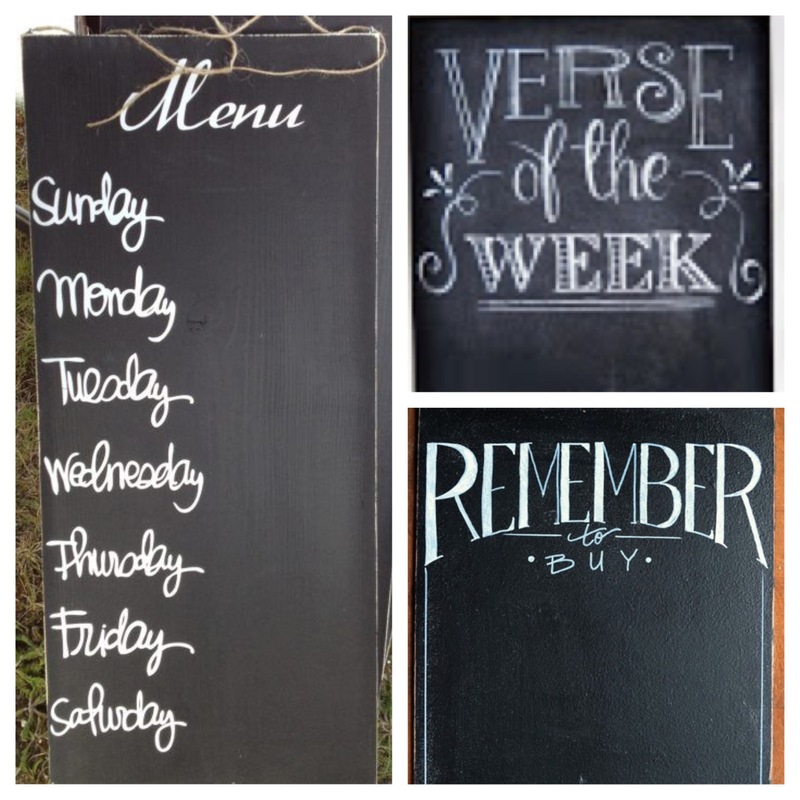 Inspiration: Weekly menu planning, To do list, Shopping/Grocery List, I love you because, Verse of the day…or a combination of any/all! You can also bring your own font/decorative patterns. RSVPs for this craft are due by Wednesday, February 18 so we can buy supplies ahead of time. Kits are available for this craft. Click on the registration page below to order.